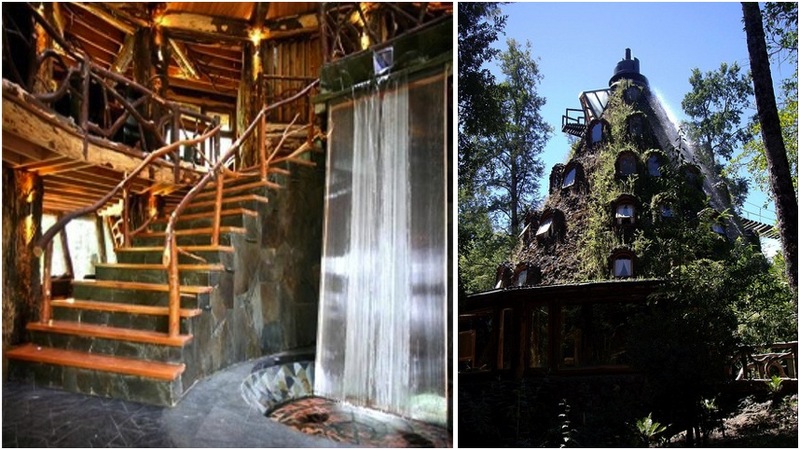 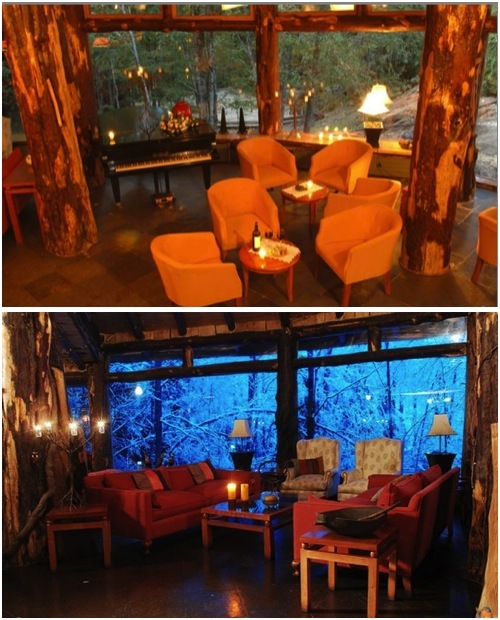 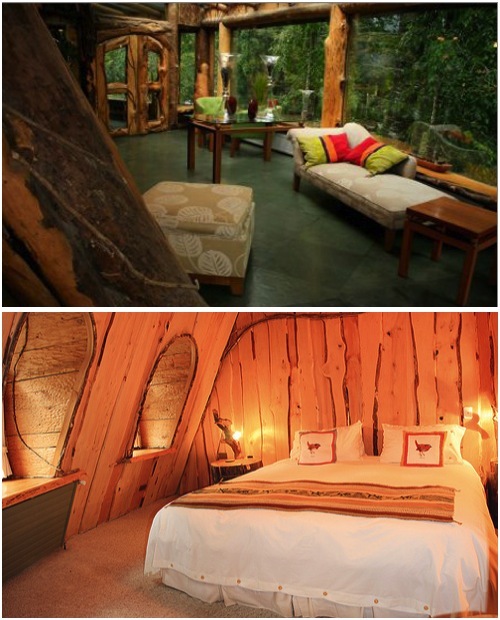 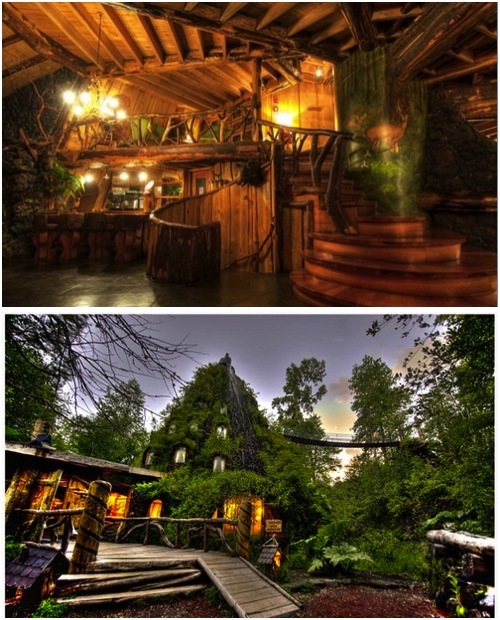 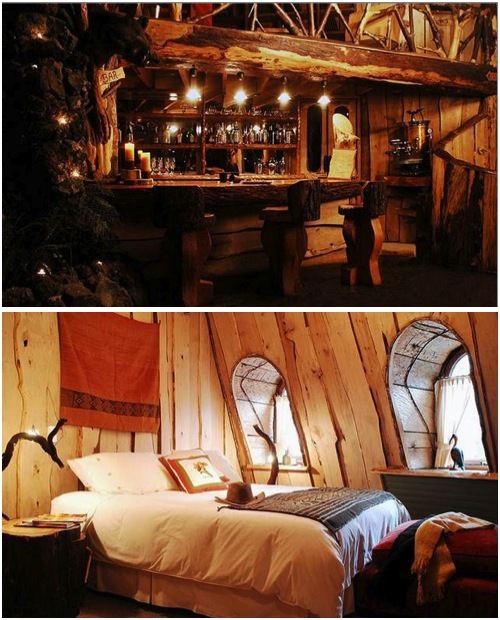 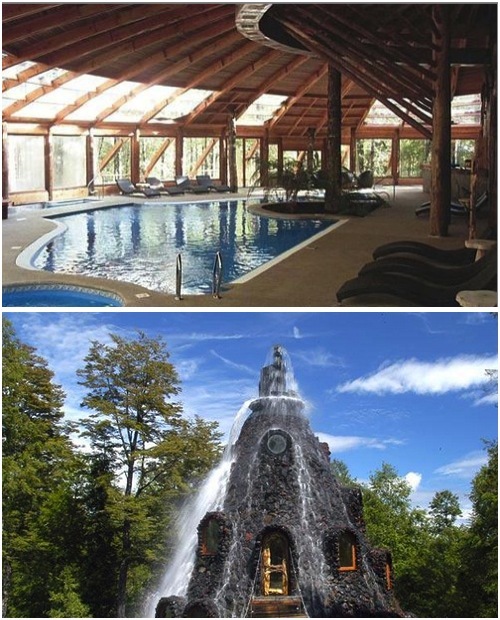 Tolkienesque hotellery with 4* amenities at the Magic Mountain Hotel in Chile. 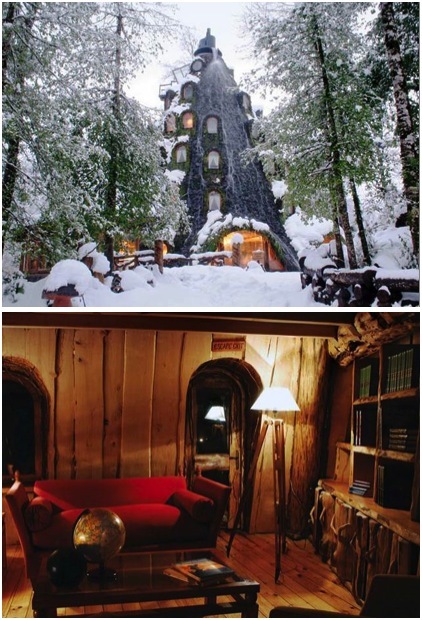 Luckily I think it's grown up enough not to have confused Disneyland seeking kiddies running around. 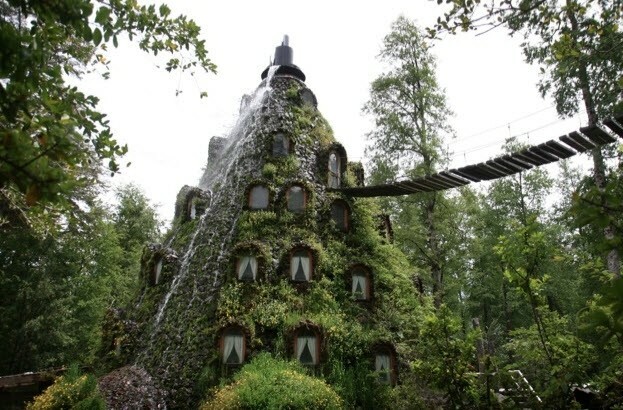 And did I mention it has a waterfall spilling from the top!